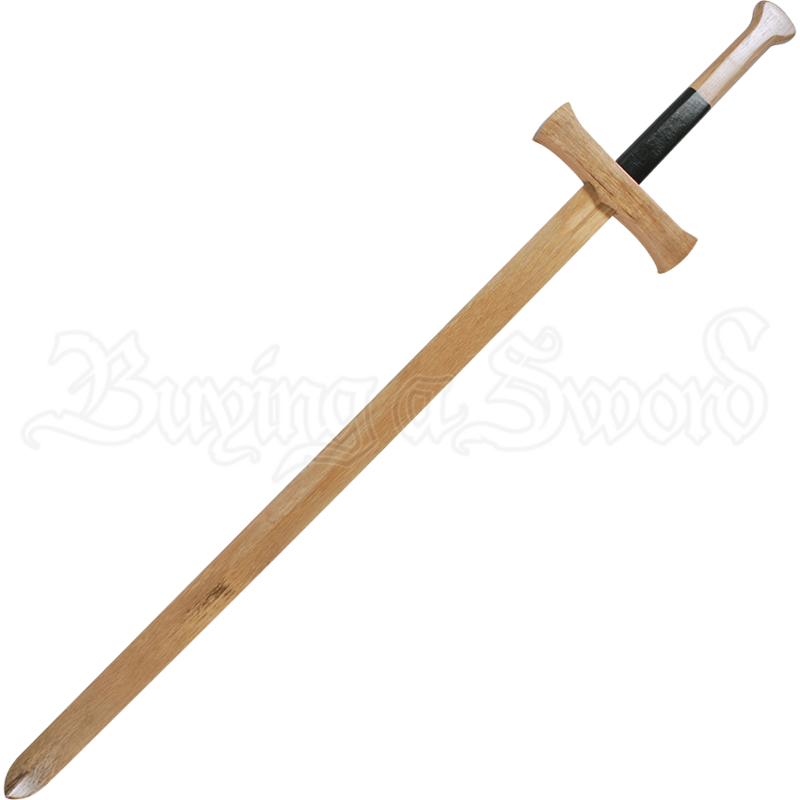 Featuring a ridge line down the center of the blunted blade, this Wooden Medieval Longsword is an excellent choice for practicing two handed swordsmanship techniques and makes an impressive addition to any knight or medieval ensemble. The quillons taper slightly toward the sword and the ecusson displays a small point toward the blade. The upper half of the two handed grip is black. The lower portion of the wooden sword handle expands to form an integral pommel, reminiscent of the scent stopper shape. 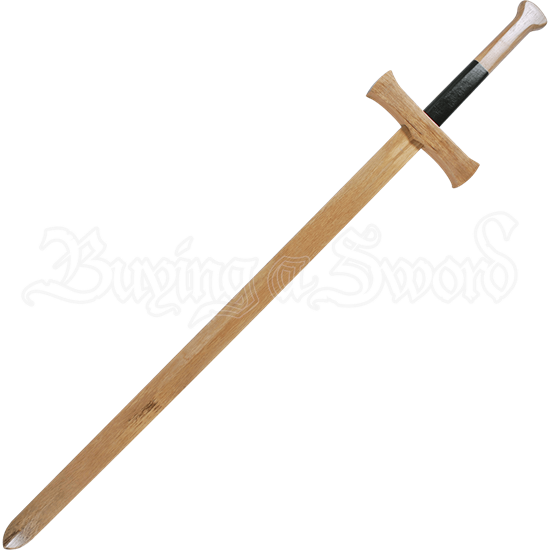 Perfect for cosplay outfits, combat training, and theatrical productions, the Wooden Medieval Longsword is great for older children, teens, and adults.